Music Together of Northern Westchester. 20th Anniversary Season! One of the most exciting things a parent can experience is when their child begins to walk and talk. Imagine the joy it would be to hear your child begin to sing and dance to music that the two of you make together. All children are musical. It's a birthright that every child possesses. When a child turns three years old their brains are 90% fully grown and developed. Music Together® supports all facets of childhood development; physical, cognitive, social, emotional and language. Experience Music Together and find out how fun your role can be! Enrollment for the summer semester, beginning September 17, is now open. 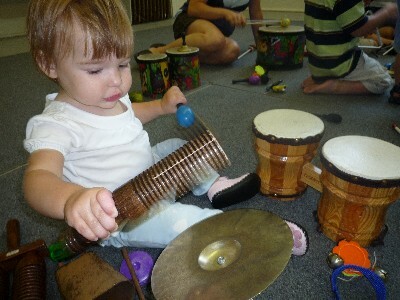 Music Together classes build on your child's natural enthusiasm for music and movement. We'll help you provide your child with the basic musical skills needed to enjoy school and social musical activities. Please contact us at musictogethernorthwest@gmail.com or 914 788-1559. Come join us for fun, music and laughter with the most wonderful people in the world, your children! Registration for the spring semester of Music Together is now open at musictogethernorwest.com. Classes will begin the week of March 25 and run for 12 weeks. We are singing from the Tambourine song collection.